This eBook is a compendium of articles and roundtable discussions about third-party risk management with chief compliance officers and other compliance thinkers. It also includes four popular OCEG Illustrated Series infographics on third-party risk management. Companies have always relied on several third-party specialists and service providers to help carry out the work that they do. Vendors, suppliers, resellers, wholesalers, consultants, and many others have been part of the business equation for nearly as long as companies have existed. What is different now is how entwined those third parties can become these days. In the cases of large, global companies, it’s often hard to tell where the company ends and the third parties it contracts with begin. These close relationships create compliance and regulatory risks, since the company can have legal liability—especially on the Foreign Corrupt Practices Act front—for violations by third parties working on its behalf. And even where there isn’t legal liability, there is the risk of business interruption and fraud and the reputation risk that comes with working with suppliers that don’t treat workers in acceptable ways. 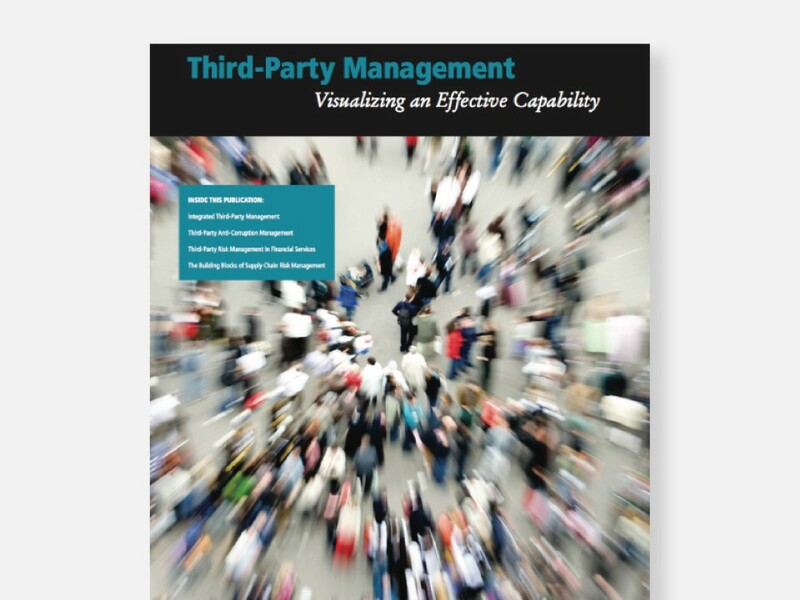 We have emailed instructions to access Third-Party Risk Management (eBook) to . Make sure the email arrives in your inbox: either add "support@oceg.org" as a safe sender to your email platform, or if you use Gmail, drag our email into your Primary tab.